Retreat is not about running away, it’s about creating space to go in. Join us to expand your inner experience through exploring the space between inhale and exhale, silence and sound, body and mind, action and awareness. 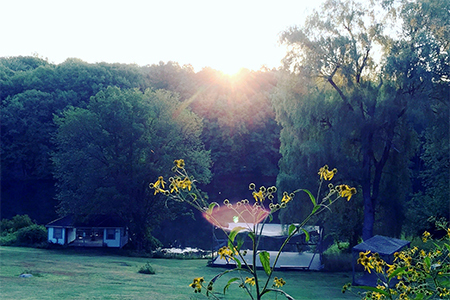 In this retreat, we will integrate simple and profound practices of movement and breath, deep listening, somatic awareness and mindfulness with vocal sound, meditation, and the substantial presence of silence. Meet your life in the space between the part of yourself that speaks and the part of you that listens and cultivate balance, purpose, and direction as you walk your path in this world.